We indeed are living in strange times. But at the same, these are exciting times. As much negativity as there appears to be in the world today, particularly on the economic front, there is an enormous amount of positive energy pouring in to counteract that negativity. Economic fears and paranoia are running extremely high right now. But at the same time there are monumental positive changes and transformations in the economic system, that, ultimately, will lead to a much improved, evolved and prosperous world for all of us. Do not believe that what you see on TV or read in the newspapers is anywhere near the truth. Desperate times, call for desperate measures and that is precisely what you are witnessing as those who have benefited handsomely from the old paradigm are feverishly trying to keep it alive, even as it is collapsing, and a whole new paradigm is being birthed. 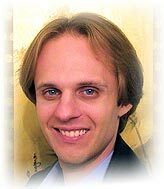 We wanted to bring your attention to the latest article by David Wilcock, posted to his web site, entitled "2012 Politics III: Economic Revolution," in which he puts the dire unfolding events into a very positive perspective. "These events and disclosures are ushering in an extremely positive evolution in our society. To dwell on the negative — the fear and the doom — is to completely miss the point of what’s going on, and actually promote the problem rather than the solution. The bottom line is that the negative groups are actively being exposed and rooted out, and the recent events have dramatically accelerated the process. If you fear these negative groups right now, you’re simply not seeing the truth. You are watching their whole game fall apart before your very eyes." This article is the third in a series of three that David Wilcock has written over the last month on the rapid chain of events unfolding in the US as we move ever closer to the Presidential election. You will find these articles to be tremendously positive and inspirational as a way to deal with any fear that may come up while viewing those scary headlines on the nightly news and in the daily newspapers. We can't recommend them enough! Along with the David Wilcock articles, there are also are a series of four new EFT videos by David Childerly that you may also find helpful as you process through these tumultuous times. They are entitled "Illuminati: Overcome the Fear...Take Your Back Your Power!" and you can find links to them in our EFT section and on the left hand column of this page. You may also find a new post in our commentary section, entitled "The Matrix of a Self-Organizing Economy," helpful to explain the machinations that an economic system can undergo that appears to be in an unprecedented state of chaos. Once again, there is yet more good news on the horizon. But, if nothing else, remember this: it is vitally important to keep in mind that what you are seeing on TV and in the newspapers is simply what those in power want you to believe. Don't buy into it! What they aren't telling you is that this really is about a positive transformation into a whole new world, a much better world for all of us. And that is the best news of all! Pay no heed to the harbinger of bad times. For just the exact opposite is what is really happening. Don't think for a second that this is not being Divinely orchestrated. The old system, that of greed, deceit and corruption is in its final stages of existence. In point of fact, all of these bailout proposals and economic plans you are hearing about are just putting that old system on life support, but our leaders refuse to accept that the patient is terminal. And what a grand re-birth it is going to be!